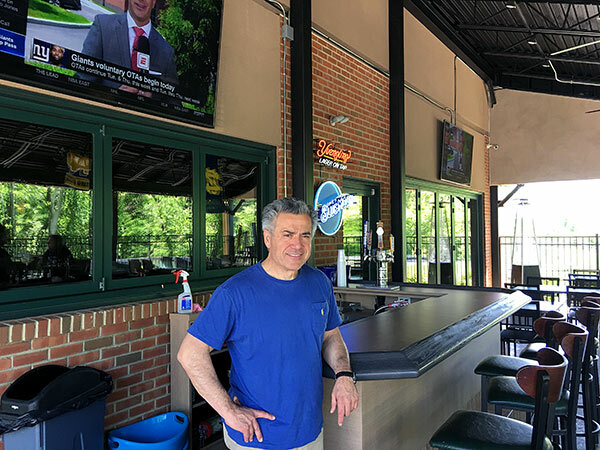 Giuseppe’s Pizza and Family Restaurant: More than just pizza - Times Publishing Newspapers, Inc.
Giuseppe’s Pizza and Family Restaurant is truly is a lot more than just pizza. It is the story of three brothers who came to the United States from their hometown in Sicily and ultimately established Giuseppe’s, a family-owned and operated restaurant that has become a landmark in Richboro for nearly four decades. In 1962, Giuseppe (Joe) Giaimo began his journey to this country where he was joined six years later by his brother Salvatore (Sal). Although they first lived in New York, over time they moved to Bucks County. In 1973, they opened the first Giuseppe’s Pizza Restaurant in Warminster. The original menu offered nothing more than pizza, pasta, steaks and hoagies. In 1978, the Giaimo brothers opened the Richboro location. At this point they were joined by their younger brother Antonio (Tony). Today Tony runs the Richboro location along with help from his wife and children. The restaurant continues to be known for its pizza. In addition, the brothers take great pride in using only superior quality ingredients. “Our customers can taste the freshness of our pizza because we make it with the best quality sauce, cheese and dough,” tells Tony. He describes the way they make their pizza as an art. They continue to use the original stones in the ovens from when they first opened. According to Tony, the pizza stones cook the pizza thoroughly with even temperatures so each pizza is consistently cooked ensuring the same great taste every time. You can order a full size pizza or a personal pizza, equivalent to about 2½ slices. Over the years as the Richboro community has grown and evolved, Giuseppe’s has done the same, expanding its menu to include a lot more than pizza. It now offers a varied menu that includes seafood, veil, chicken, vegetarian entrees, and gluten-free dishes, plus much more! Its most recent expansion was an outside patio with a full size bar that fits 60 people, ideal for the upcoming warm summer months. Of course, you are still welcome to enjoy Giuseppe’s full-size inside bar as well. Both bars offer 16 beers on tap, plus IPAs, seasonal beers, wines and mixed drinks. Unique to Giuseppe’s is its wine dispenser system from Italy, which keeps wines fresh so that they never go stale. Happy Hour happens Monday through Friday, 4:00pm to 6:00pm, with drink and appetizer specials. Giuseppe’s on-site banquet facility accommodates up to 70 people, the perfect size for graduation parties, business meetings, baby and wedding showers. Ask about their catering menu. Sadly, the family patriarch, (Joe) Giaimo passed away in 2005, but his legacy lives on through his restaurants. The Warminster Giuseppe’s, now 45-years-old, is operated and owned by Tony’s brother, Sal and his daughter Olivia. Its Willow Grove location, opened in 1983, is managed by Tony’s niece Francesca and her husband Pat. For more information about Giuseppe’s Richboro location at 990 Second Street Pike, call 215-322-9272 or visit www.gpizza.com.